Mangos and Ferrero Rocher. Enough said. 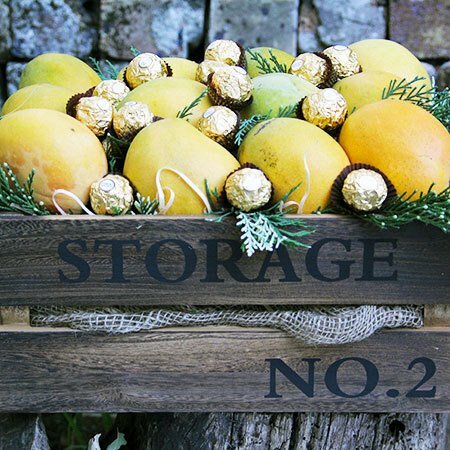 This delectable combination of tropical fruit and ever-popular chocolate in a rustic wooden crate is the perfect gift idea to wish someone a prosperous and happy new year. To send this fabulous fruit and chocolate hamper, simply order via our online florist shop or call our friendly consultants on 1800 66 66 46 before 1pm. *Please note: The pictured fruit hamper is exclusive to Sydney only.